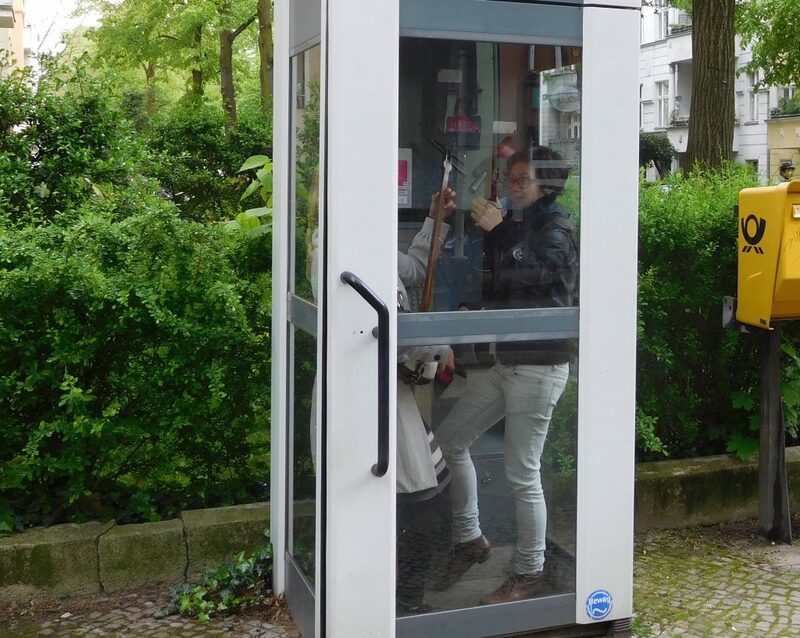 Episode 12 – we proudly present Su Bunjamin and Doreen Müller – the first duo in our telephone booth! Most Germans learn guitar when picking up an instrument. Forget it. Learn Shamisen. It’s the best: It’s lighter than the guitar, it’s loud, and it’s social – not for the woeful fingerpickin‘ outcast. It’s an instrument made for the street. 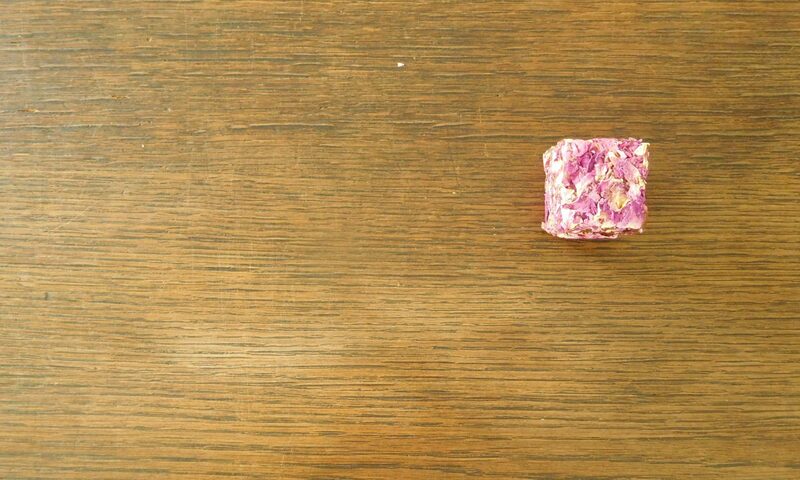 It rocks. And you can play it with strings made of silk. Yes, real silk (not vegan). Su Bunjamin was born and grew up in Berlin. 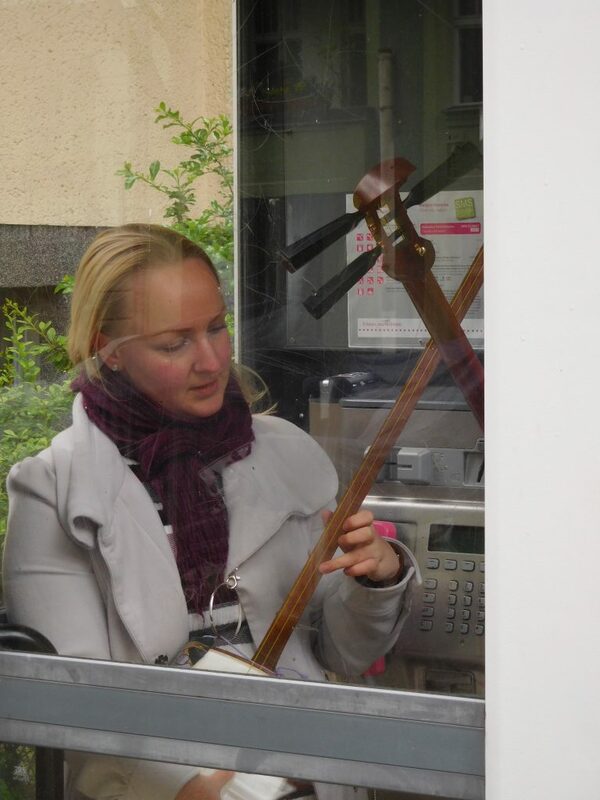 As a teenager, she listened to Japanese Rock, the genre in which the Tsugaru Shamisen was rediscovered in the 2000s. Bunjamin liked the Tsugaru wizard Hiromitsu Agatsuma and when she was in Japan for an internship, she searched for a teacher but couldn’t find one. 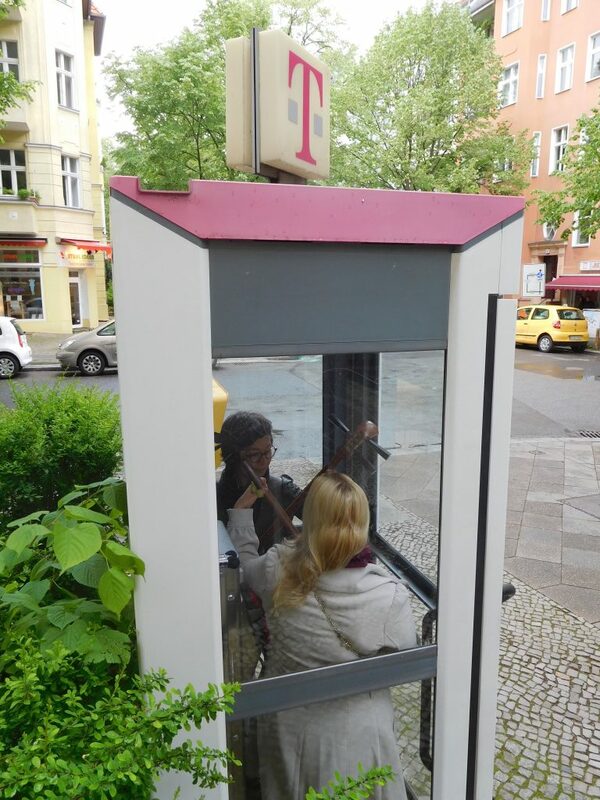 Back in Berlin she reached out and suddenly found like-minds, who also wanted to practice Shamisen on a regular basis. 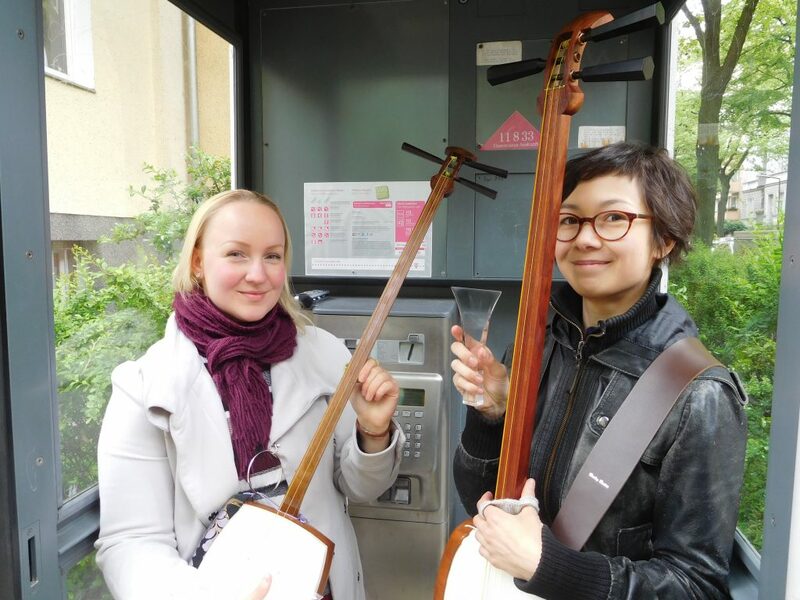 So in 2014, they founded the registered society „Shamisen Berlin e. V.„. The group’s concept is quite clever and charming: They meet every Sunday to practice, and they give concerts and invite guest teachers from London, the US and Japan. Plus, you can hire an instrument for a small amount of money per week. According to Su, you don’t need to be able to read music when learning how to play the Shamisen, because traditionally the knowledge has been passed over from generation to generation orally. So, the Shamisen is a perfect choice for a first instrument. Unlike a widespread cliché, the Shamisen can be played by all human beings, not only by women. Shamisen Berlin has a small but growing number of men among their members. Doreen Müller was born and grew up in Potsdam, the city close to Berlin. She started listening to the Yoshida Brothers as a teenager, when she had a Japanese pen pal. Then she delved into Japanese theatre and attended workshops for Japanese dance all over Europe. The more she heard the Shamisen in these contexts, the more she got hooked on playing it. 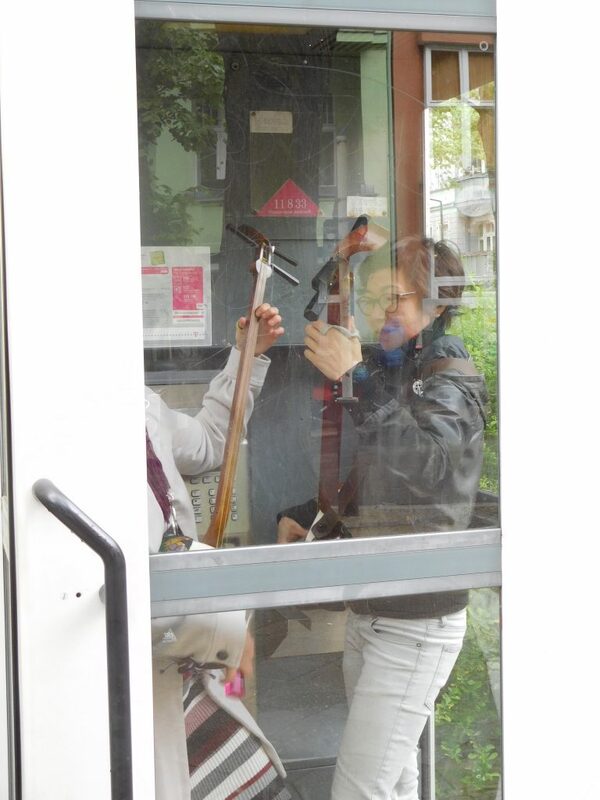 No wonder she became a member of Shamisen Berlin only a few months after its foundation. She plays a Nagauta Shamisen, the sister of the Tsugaru with a slimmer neck. Bunjamin plays with the lightest Bachi, the Japanese plectrum, on earth. It’s made of acrylic and designed by the Shamisen player Reigen Fujii. 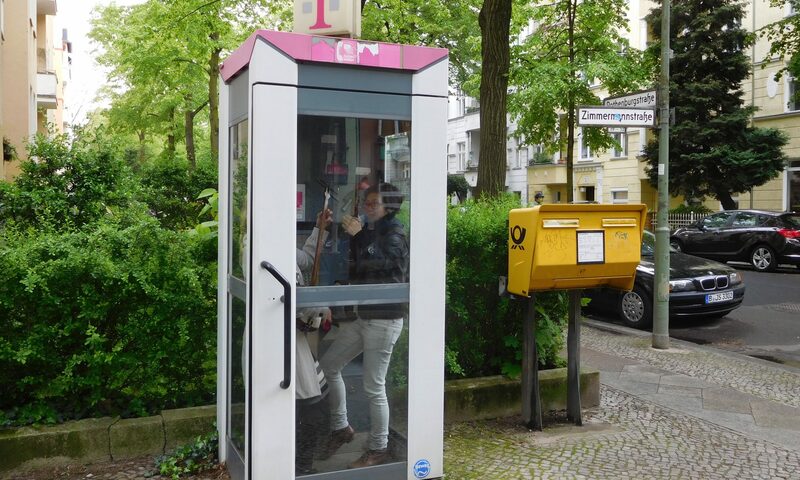 Last but not least: they both remember making phone calls in telephone booths.